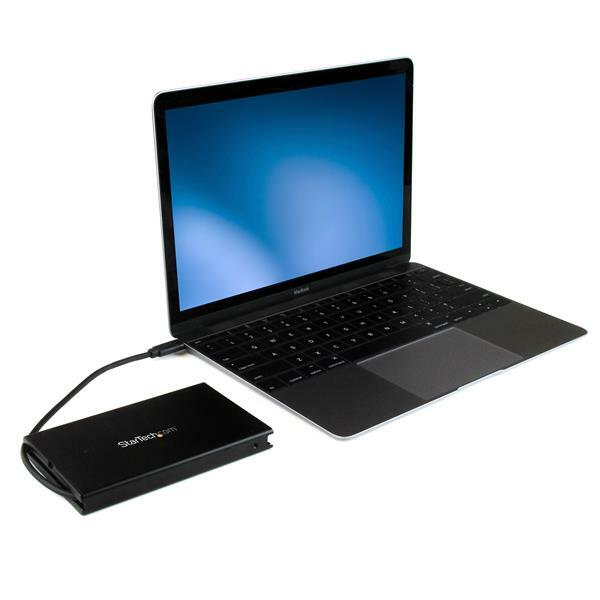 Here’s a great way to add ultra-fast, ultra-portable data storage to your USB-C™ enabled tablet or laptop, including MacBook, Chromebook Pixel™ and Dell XPS 12. This USB 3.1 Gen 2 drive enclosure features a built-in USB-C cable that makes it easy to connect a 2.5 in. 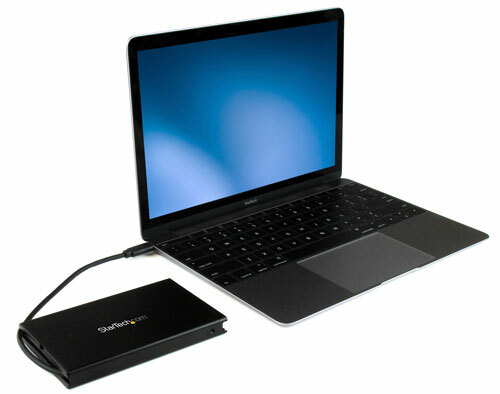 SATA hard drive (HDD) or solid-state drive (SSD) to your computer through its USB-C port. 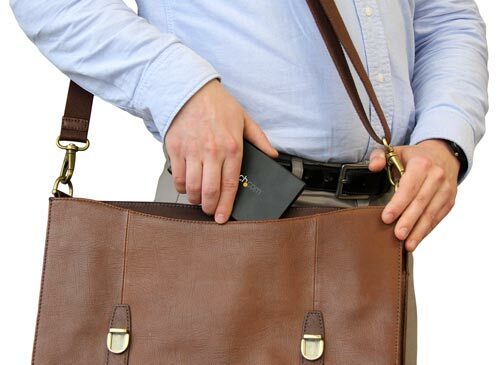 This portable drive enclosure turns your 2.5 in. 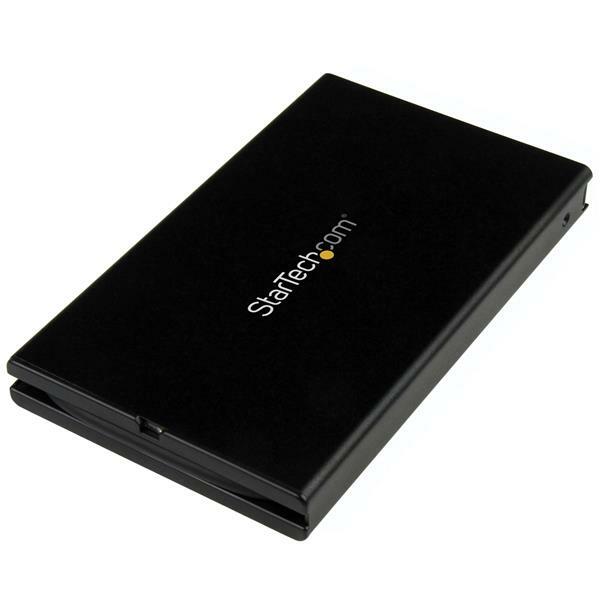 SATA solid-state drive or hard drive into external data storage that’s easy to take with you. 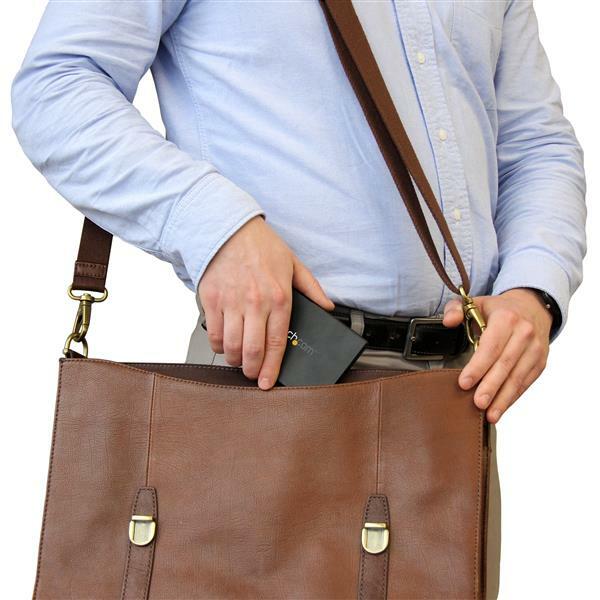 Its compact, lightweight design makes it convenient to tuck into your laptop bag or carrying case. To maximize portability, the enclosure features a built-in USB-C cable, so you never have to worry about forgetting to bring your connector cable with you wherever you go. The cable wraps safely around the enclosure while it’s not in use, to prevent damage or tangles and take up less space in your laptop bag. 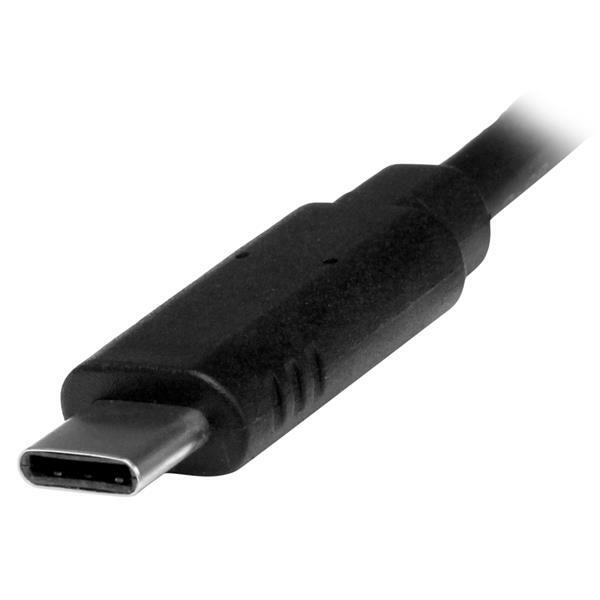 The USB Type-C™ connector is small and reversible, which makes for easier insertions and less risk of port damage. The drive enclosure is USB powered, with no external power adapter required, which means one less thing to carry with you. The drive enclosure connects easily to the USB-C port on your laptop or tablet, allowing you to access and store files, faster than ever. 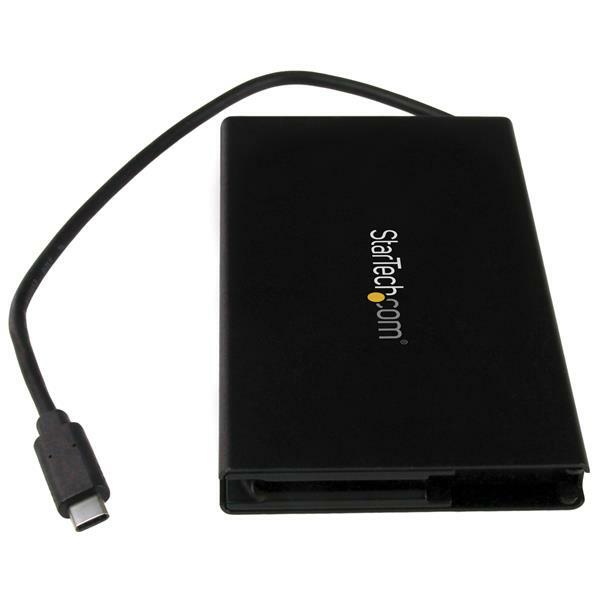 This USB 3.1 Gen 2 drive enclosure lets you leverage the high performance of the latest SSDs and hard drives. It supports data transfer rates of up to 10Gbps - twice the speed of USB 3.0 (USB 3.1 Gen 1) technology. 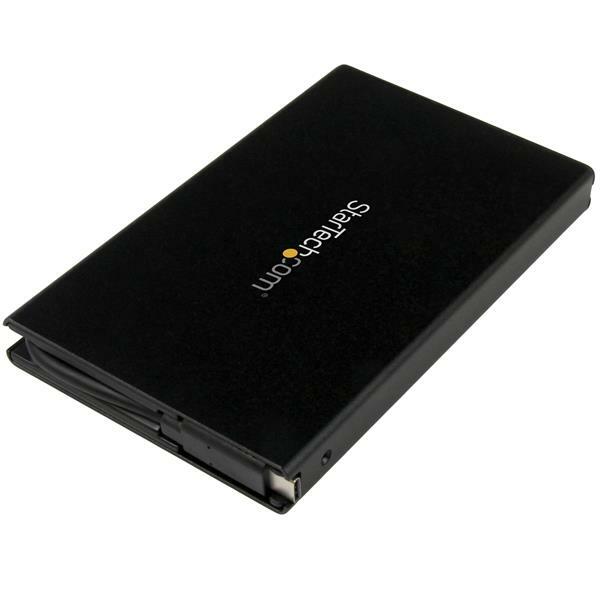 The drive enclosure supports SATA I, II and III (up to 6Gbps) and also supports UASP for enhanced performance. Engineered with a sleek and durable aluminum housing, the enclosure is equipped to keep your data safe and secure wherever you go. The aluminum housing also helps to distribute heat, to assist with dissipation. 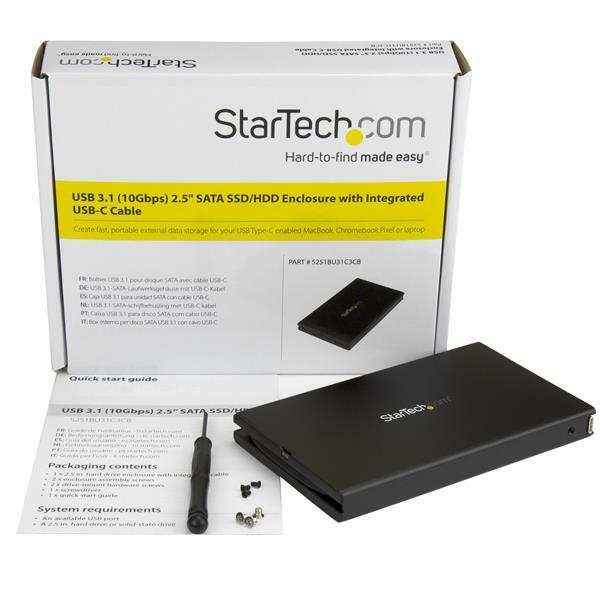 The S251BU31C3CB is backed by a StarTech.com 2-year warranty and free lifetime technical support.